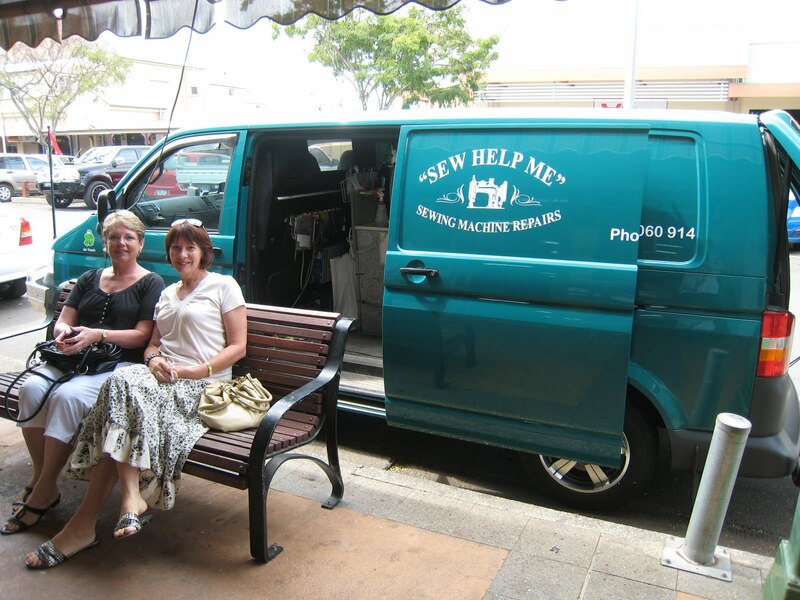 It was time to take our beloved machines to Greg Gersch from “Sew Help Me” for a much needed service. 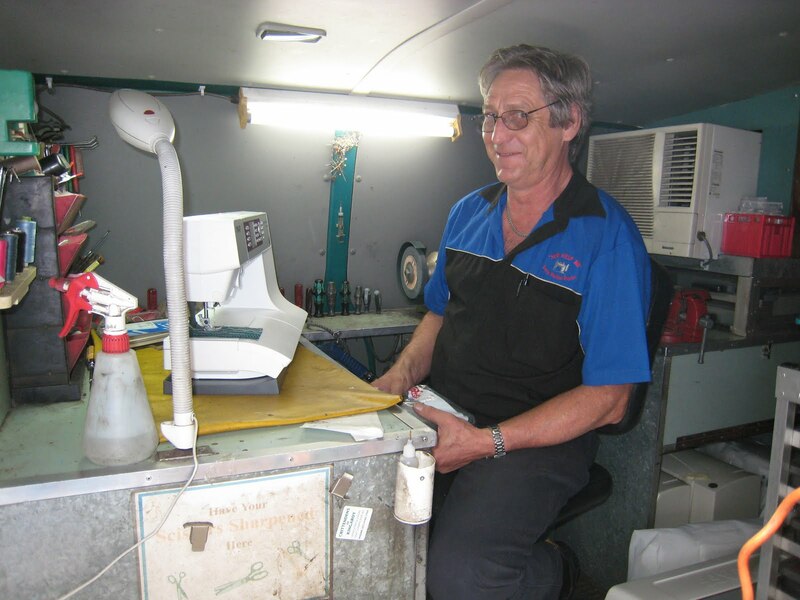 Greg has a mobile workshop that travels around the Toowoomba area servicing all types of sewing machines and overlockers (sergers). On Monday, Anne and I dropped off our Pfaff Expression 4.0’s and the Pfaff Grandquilter to Greg at Toogoolawa and returned the next day to Gatton to pick them up. We managed to have a quick visit to Esk on the way back to Brisbane. 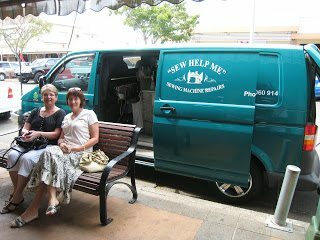 Like all good quilters we had a chance to pop into the local quilt shop at Gatton and then enjoy a lovely lunch. My babies are now back in their homes ready for another year of hard work. Sounds like a great service . Those babies will purr along nicely now ! 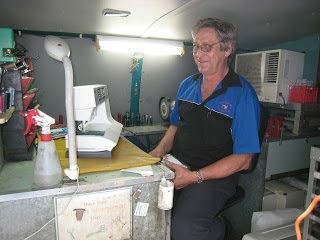 Hello, thanks for visiting my blog, Have a question, I have also an expression 4 and enjoy it very much, would like to know your grand quilter is it working fine for quilting? 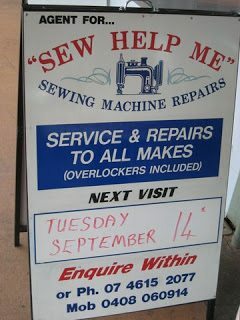 The Grand Quilter is a good solid machine. I use it on a New Generation Frame and only do very simple all over quilting. 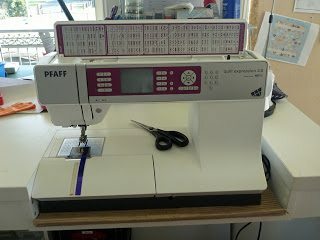 I am looking at Long arm quilting machines as I want to branch out into business and get through more quilts.